The latest economic forecasts from the OECD could be summed up in four words: More growth, more risks. The “more growth” part is perhaps the easiest to explain. According to OECD economists, the world economy should continue to strengthen its recovery over the next couple of years, albeit at a slower pace than in previous recoveries. The OECD is forecasting global growth of 2.7% for this year, rising to 3.6% for 2014 and 3.9% in 2015. These numbers might look encouraging, but they’re down – by about half a percentage point – since the OECD’s last forecasts in May. That downward revision is due in large part to the slowing performance of the emerging economies, other than China. Digging a little deeper, the OECD is forecasting a strengthening performance in both the United States and the euro zone, with the U.S. economy forecast to grow by 2.9% in 2014 (click on the map below for detailed data). The euro zone won’t be able to match that pace, but next year’s forecast expansion of 1% would certainly be welcome after several years of sluggish performance. By contrast, after racking up forecast growth of 1.8% this year, Japan’s pace of expansion is tipped to slow to 1.5% in 2014. Disappointingly, the upturn in OECD economies may not do much to bring down unemployment. The jobless rate in OECD countries is projected to fall by only half a percentage point, to 7.4%, by the end of 2015, a slower decline than had been expected. Of course, all these forecasts will only pan out if the world economy manages to avoid those risks we mentioned. Some of these will be all too familiar to regular readers of the blog, such as continued concerns over Europe’s banks. Others have emerged more recently – indeed, they’re responsible in large part for the OECD’s lowering of its growth forecasts. The most notable, perhaps, is the increasing uncertainty over the emerging economies, other than China. Even though the emerging economies have stronger growth prospects than developed countries, they face a growing list of challenges, including less favourable demographics and diminishing opportunities for “catch-up” growth. Their vulnerability was highlighted over the summer when investors pulled out of emerging economies in expectation that the Federal Reserve, or U.S. central bank, would begin returning to the sort of “normal” monetary policies that were suspended in response to the financial crisis. In the event, that didn’t happen, but, as the latest OECD Economic Outlook points out, the turmoil that followed even discussion of it “revealed how sensitive some EMEs [emerging market economies] are to U.S. monetary policy.” For now, the situation in the emerging economies appears to have stabilised, but there must be concerns over what will happen when the U.S. does eventually change course on its monetary policy. And then there’s the concern over the potential for deflation in the euro zone. To explain, prices tend to rise most of the time in developed countries – a process called inflation. By contrast, falling prices – or deflation – are much less common. If deflation kicks in, it can be very hard to turn it around – consumers may put off purchases in expectation of lower prices next month or next year, so reducing demand and creating a self-sustaining spiral. To reduce the risk of deflation taking hold, the European Central Bank cut interest rates earlier this month, which should boost demand. But, says the Economic Outlook, it should be prepared to take further measures if deflation risks intensify. Two panels in this session – emerging economies, and trade and investment. With an 8:30 start, most of us are looking more like early worms than early birds. The first panel is far more dynamic, given the consensus in favour of more trade and investment. The emerging economy discussion takes an interesting turn when moderator Liam Halligan asks participants where the next IMF director should come from. Indian finance minister Anand Sharma gives a diplomatic reply, saying global institutions should reflect global realities. Anatoly Moskalenko from Russia’s Lukoil avoids answering a question concerning Russia’s acceptance by these institutions, saying simply that Russia would like to join the OECD and other bodies. And then it’s back to the politicians. Brazilian Under-Secretary for Economic Affairs Valdemar Carneiro Leao describes the quantitative easing decided by the EU and US as “how can I put it: unorthodox”. He is less diplomatic later, reminding us how Brazil was preached at by the IMF and other institutions to be more liberal, but the regulations they kept in place saved their financial markets from the tsunami that hit the deregulators. US Under-Secretary for Economic, Energy and Agricultural Affairs defends US economic policy, saying it was needed to restore the health of the US economy. WTO chief Pascal Lamy anticipates the next panel by talking about the Doha round. He says there’s agreement or near-agreement on most points, but tariffs on industrial products are a sticking point, and he’s worried by the increase in the share of world trade affected by protectionist measures. Norway’s Finance Minister Sigbjorn Johnsen speaks with the compassion and peace of mind of a chancellery managing a budget surplus. He explains that human capital is a more important asset than oil. He’d rather discuss DSK’s succession at the IMF at the IMF, not the OECD. Brazil puts the cat among the pigeons again by asking why the OECD is represented at the G20 given that it’s not a global institution. No reply, but there’s no OECD panellist. Going South: What’s in it for development? The rapid growth of emerging economies has led to a shift in economic power from West to East and South. 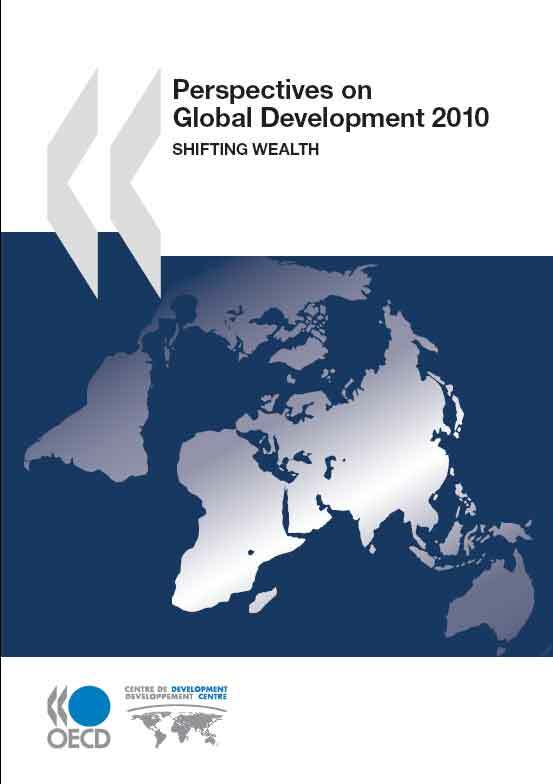 According to Perspectives on Global Development, a new annual thematic publication by the OECD Development Centre, developing and emerging countries now account for nearly half of world GDP in purchasing power parity (PPP) terms. This is expected to rise to nearly 60 percent of global GDP by 2030. The growing dynamism of economic activity between developing and emerging countries is one of the factors underpinning this new economic and power landscape for the global economy. Not so long ago, few people would have expected China to become the leading trade partner of Brazil, India and South Africa. In 2009 that became a reality. Likewise, the Indian multinational Tata is now the second most active investor in sub-Saharan Africa. But what is the development potential arising from these South-South flows? South-South trade – which represented 19% of global trade in 2008, compared to around 8% in 1990 – could be one of the main engines of growth over the coming decade, especially if the right policies are pursued. Trade between southern partners can provide opportunities for learning-by-doing in less competitive market environments. It can also give access to cheaper intermediate inputs and facilitate integration into value chains supplying southern markets, which are often much less standards-intensive than comparable northern markets. OECD Development Centre simulations suggest that there is a large potential for welfare improvements through the reduction of trade barriers and trade costs on South-South trade. Were developing countries to reduce their tariffs on South-South trade to the levels applied on trade between northern countries, they would secure static welfare gains of $59 billion (gains that do not take into account cumulative benefits over time). This is worth almost twice as much as a similar reduction in tariffs on their trade with the North. The dynamic gains, in terms of greater competition and technology acquisition are likely to be much larger. Moreover, these results are not contingent on the outcome of ongoing multilateral negotiations – they are measures which developing countries themselves can implement. Some are already acting to realise these gains. In December 2009, 22 developing countries (including Egypt, Morocco and Nigeria) participating in the São Paulo round agreed to cuts of at least 20% on tariffs that apply to some 70% of the goods exported within this group of nations. A timeline was set for intensive negotiations to conclude the agreement by the end of September 2010. South-South foreign direct investment (FDI) also has enormous untapped potential for low-income countries. Southern multinationals, for example, may be more likely to invest in countries with a similar or lower level of development since they often have technology and business practices tailored to developing country. Technology acquisition and up-grading is thus potentially easier. Another dimension is the emergence of new aid donors. 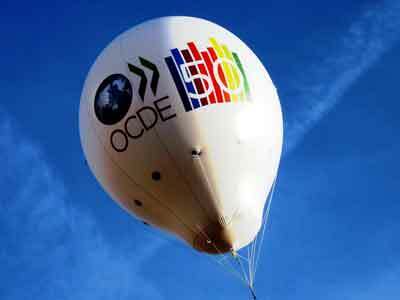 Emerging economies – aid recipients themselves – contributed the equivalent of about 15 percent of the aid flows of OECD DAC donors in 2009. Official development assistance from donors who are not members of the OECD Development Assistance Committee (DAC) but who report to the DAC amounted to almost $9.1 billion in 2008. The real figure is likely to be much higher. What is crucial at this stage is to leverage the resources and experience of these new development actors to maximise aid effectiveness. The impact on development of trade, foreign direct investment and aid flows between developing and emerging economies has only recently started to be monitored and analysed in a systematic way. The picture is still rather incomplete. Yet one thing is clear: emerging and developing countries are currently driving global growth while the high-income countries struggle to shake off the impact of the global financial and economic crisis. In the future, we will need to capitalise on these trends if the global economy is to be successfully rebalanced.